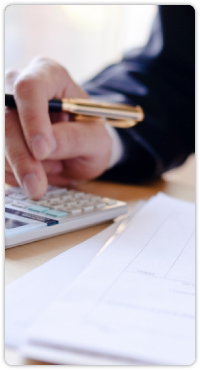 The Financial Accounting group consists of highly educated professionals, including CPA’s with prior tenure at national accounting firms. The group has over 125 years of combined accounting experience, and is overseen by the Chief Financial Officer with MBA and CPA designations. KGI is experienced in third party report preparation for institutional equity partners, high net worth/family office equity partners, and real estate operating/management clients. KGI works with owners and clients to create annual operating and capital budgets and to generate long-term capital improvement plans for the properties. Ongoing services for our property management clients include collection of rents, competitively bidding vendor services, delinquent account management with proactive delinquency services, paying invoices, custodial care of checking accounts, and tracking all debit and credit accounting entries. The monthly reporting package includes the Income Statement, Balance Sheet, Statement of Cash Flows, Quarterly Budget to Actual Analysis, Change in Capital Improvements, Occupancy Report, Lease Expiration Schedule, Rent Roll, Operations Narrative, Revenue by Tenant, and Delinquency Report. KGI also has expertise in the use and application of Timberline, Argus, Realogic, and Excel software, allowing us to provide clients with discounted cash flow and property valuation analysis, hold/sell analysis, and debt/leverage sensitivity analysis.